The Wittig reaction is a useful way of forming alkenes from phosphorus ylides (Wittig reagents) and aldehydes or ketones. The chemical reaction of an aldehyde or ketone with a triphenyl phosphonium ylide yielding alkene, and triphenylphosphine oxide. 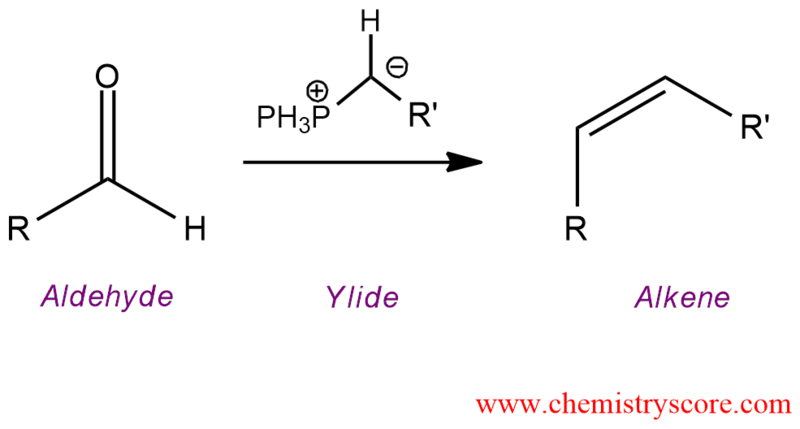 A phosphorus ylide or Wittig reagent is a suitable nucleophile because new carbon-carbon bond can be made in this way. 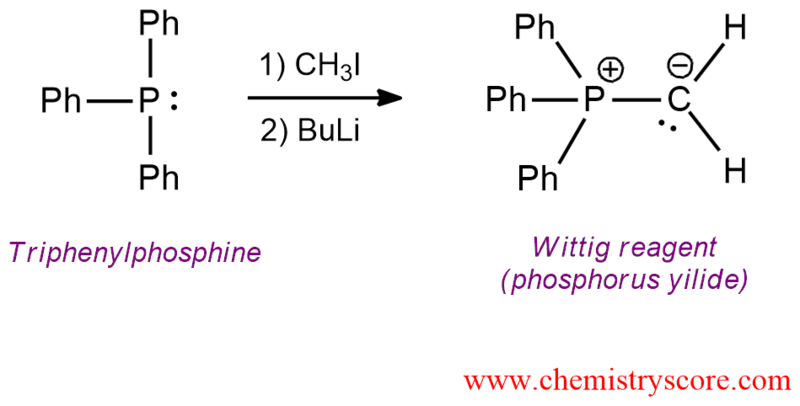 Phosphorus ylides are prepared from an alkyl halide and triphenylphosphine such that triphenylphosphine performs a nucleophilic attack on the alkyl halide via the SN2 reaction followed by deprotonation with a strong base. The mechanism of this reaction consists of two steps. In the first step, the negatively polarized carbon in the ylide functions as a nucleophile and attacks the electrophilic carbon of carbonyl group. The oxygen from carbonyl group immediately attacks phosphorus from Wittig reagent which is positively charged. This simultaneously double addition is called [2+2] cycloaddition, and the product called an oxaphosphetane or oxaphosphacyclobutane. This intermediate then in the second step undergoes fragmentation to give the alkene product.